The black infant mortality rate in America is more than twice that of white infants, according to government data reported by The New York Times last week. Photo by Getty Images. Why it matters: Infant mortality in the U.S. dropped in the early part of the 20th century, largely due to improvements in medical care and hygiene. But America has among the worst infant mortality rates in developed countries, now ranked 32nd out of the 35 wealthiest nations, compared to 12th in 1960. More than 11 per every 1,000 black infants die within one year of birth, compared to 4.9 per 1,000 white infants. Why are the mortality rates so different between white and black pregnant women and their babies? The Times says one of the clearest causes is the systemic racism black women experience daily. 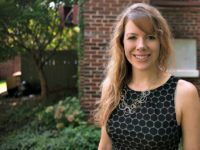 Even accounting for class, education, geography, and other factors, babies born to black mothers tended to have lower birth weights – which is linked to infant mortality – than those born to white mothers, a discovery which is directly attributed to the stress of racism, the Times reported. 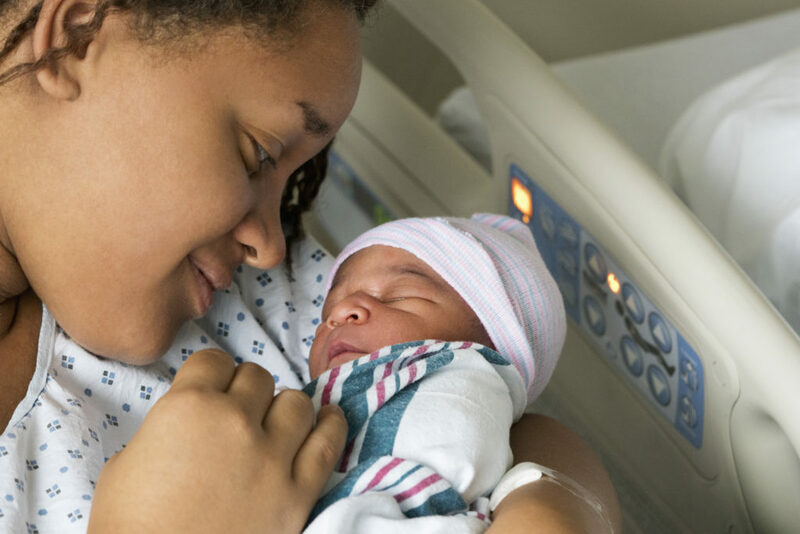 Black women are also more likely to experience pre-eclampsia and eclampsia, conditions which can cause infant and maternal death. Their cases of these conditions are also more severe. One study in Population and Development Review by Dr. Arline Geronimus, a professor in the department of health behavior and health education at the University of Michigan School of Public Health, showed that black women in their 20s had higher rates of infant mortality than black teens (the opposite is true for white women and teens). Another study by Geronimus determined that black women experienced the highest levels of stress-related effects compared to other groups of people, including among white women and black men; the authors said “these effects may be felt particularly by black women because of [the] double jeopardy of gender and racial discrimination.” Another new report, “Fighting at Birth: Eradicating the Black-White Infant Mortality Gap,” showed that while “education protects white women from losing their babies in infancy … it’s the opposite for black women. The most educated face the greatest risk of having their children die at birth or in infancy,” Bloomberg reported. Doulas, trained professionals who help advocate for and assist mothers during pregnancy and childbirth, can have a mitigating effect on these statistics. According to the Times, of the hundreds of families served by doulas between 2010 and 2015 as part of a free doula program the city’s health department provides, there were “half as many preterm births and low-birth-weight babies” as women in the same communities without doulas. Other suggestions noted in the “Fighting at Birth” report: programs to “minimize bias by health-care providers,” more support groups for black mothers and increased social support for pregnant black women, among other ideas. A man has been indicted on federal charges after an alleged October attack on two teenage girls wearing hijabs and their father. The incident began after the girls got off of a school bus. 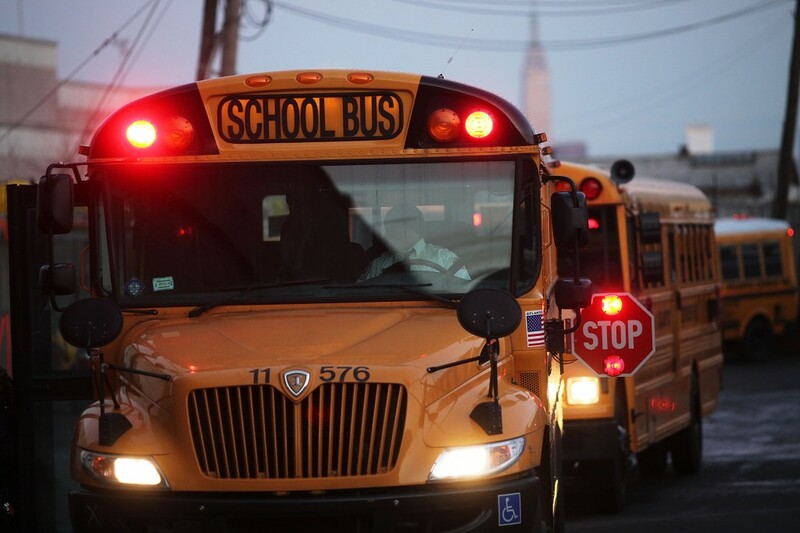 File photo of school buses by Getty Images. A Tennessee man was charged with a federal hate crime and lying to FBI agents last week for his alleged attack on two teenage girls wearing hijabs and their father. The incident began Oct. 24, 2017, when Beckham saw two teenage girls, both wearing hijabs, get off a school bus, according to Buzzfeed News. A federal indictment unsealed last week says Beckham began to yell “Allahu Ackbar” and “Go back to your country!” at the girls, among other threats. When the girls’ father arrived on the scene, Beckham began punching at him and swinging a knife, and called all three family members “Iranis” and “niggers,” the indictment said. Beckham was charged with a hate crime, which carries a maximum of 10 years in prison. Beckham was also charged with lying to FBI agents, for falsely claiming that he saw the girls breaking into cars; that he never swung a knife at their father; and that the girls yelled “Allahu Ackbar” and hit him in the back of the head, according to a release from the Department of Justice. Why it matters: Recent data paints a dismal portrait of hate-related incidents in the U.S. Hate crimes rose for a second consecutive year in 2016, the most recent year for which data was available, according to data the FBI released last year. Part of that increase was because of religiously-motivated crimes: 55 percent of the incidents were sparked by anti-Semitism, and another 25 percent were fueled by hatred of Muslims. The number of hate groups has also grown, according to the Southern Poverty Law Center, many of them within the white supremacist movement. Forty-eight percent of Muslims in a Pew poll last July said they had experienced discrimination at least once in the past year. 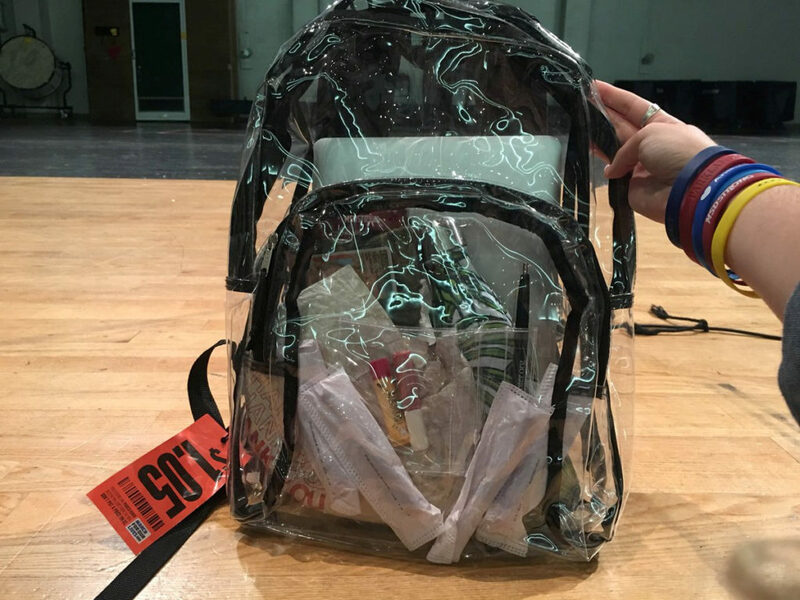 A clear backpack is seen in Parkland, Florida, U.S., April 2, 2018, in this picture obtained from social media. Picture taken April 2, 2018. TWITTER/DELANEY TARR/via REUTERS. In the wake of February’s mass shooting at Marjory Stoneman Douglas High School in Parkland, Florida, schools across the country have recently implemented a series of new strategies to fight against potential school shooters. Last week, Millcreek Township School District in Erie, Pennsylvania, announced it would supply school employees, including teachers, with 18-inch wood bats. The school purchased 600 bats for $3 each, according to the New York Times. Administrators said the bats, which were given to each of its 470 teachers and staff, would only be used during lockdown situations. The Blue Mountain school district in northwest Pennsylvania also announced it will supply every classroom in the district with a five gallon bucket of stones starting this fall as a last resort defense against intruders, the Guardian reported. The stones will be kept in closets in the classroom, school officials said. Why it matters: The latest changes come as school officials and lawmakers across the country are trying to come up with better ways to prevent potential armed attacks on schools and give students and staff tools to protect themselves against armed intruders. Some gun rights supporters, including the National Rifle Association (NRA), have said having more people armed on campus could stop a school shooter. The Broward County School Board, which oversees Marjory Stoneman Douglas High School, said it would not participate in a proposed program to arm certain staff members with guns — one of the ideas floated at schools across the country in the wake of the shooting. But this and many of the other efforts to improve school security in the wake of the Parkland shooting — from metal detectors to clear backpacks, which Marjory Stoneman and other high schools have required following the attack — have been criticized by students and lawmakers who say no single effort can prevent a shooting. What’s more important is how a school approaches security as a whole, and its behavior toward threats on a day-to-day basis, Michael Dorn, who oversees Safe Havens International, told Newsweek. “If it sounds like a simple solution, it’s probably not that effective,” he said. Dorn added that what works for one school won’t necessarily work for every school — and that ideas will get more buy-in if students are involved in the process. Chinese police say they arrested a man last week after facial recognition technology helped officers pinpoint the suspect in a crowd of more than 50,000 people at a pop concert. The man, who was only identified by the family name Ao, was suspected to be connected to an “economic crime and was listed on a national online system,” authorities were quoted as saying by the South China Morning Post. Why it matters: Chinese authorities have increased their reliance on facial recognition technology in recent years, the Washington Post has reported, a move security experts say shows the country is blossoming into a surveillance state. The country’s investments have included an expansion of a sunglasses program that allows police to scan possible suspects and car registration plates and match them with a national database. The sunglasses alone helped Chinese police capture seven suspects in major cases and 26 others who were using false identities, The Verge reported. China wants to build its video surveillance network to be “omnipresent, fully networks, always working and fully controllable” by 2020. If official government documents obtained by the Washington Post are any indication, the technology is taking off: China wants to build its video surveillance network to be “omnipresent, fully networks, always working and fully controllable” by 2020. Human Rights Watch flagged how China’s data systems have culled information not only from criminal suspects, but also from “petitioners,” or individuals who have made complaints to the government, the Post notes. Privacy advocates worry that the technology could be used specifically against a national “blacklist” that includes dissidents, journalists, political activists, among others. “It is frightening that Chinese authorities are collecting and centralizing ever more information about hundreds of millions of ordinary people, identifying persons who deviate from what they determine to be ‘normal thought,’ and then surveilling them,” Sophie Richardson, China director at Human Rights Watch, said in a statement. 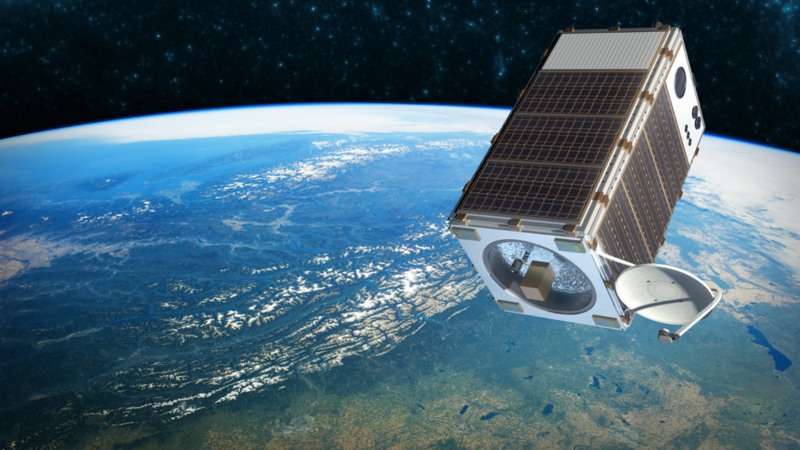 The Environmental Defense Fund, a nonprofit environmental advocacy group, is working on plans to launch a satellite which will map and measure methane emissions. Photo courtesy of The Environmental Defense Fund. The Environmental Defense Fund, a nonprofit environmental advocacy group, is working on plans to launch a satellite which will map and measure methane emissions. Why it matters: Methane emissions comprise about 25 percent “of the man-made global warming we’re experiencing today,” according to the EDF. Current estimates of methane emissions are based on data provided by companies to states, the Post reports, which assumes those companies have facilities and equipment that work properly. But that’s not always the case, environmental watchers say. In Pennsylvania, for example, the EDF estimates that oil and gas methane emissions are about five times higher than the state’s reported emissions. Methane emissions are also “intermittent, unpredictable and widespread, making it hard to predict where they’ll occur,” the EDF said in an online statement. The new satellite will measure emissions from known sources and also detect previously unknown sources, the EDF said. And according to the Post, the satellite will be able to detect methane emissions at as little as two parts per billion. 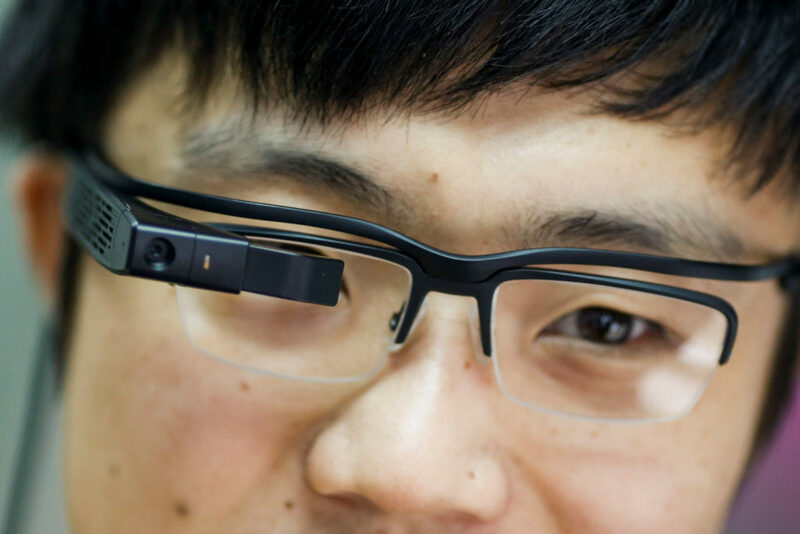 This will improve accuracy, researchers say. And because it will be free to the public, according to the EDF, the information will allow researchers, companies, and governments to see exactly where companies are exceeding target methane emission levels. Left: The Environmental Defense Fund, a nonprofit environmental advocacy group, is working on plans to launch a satellite which will map and measure methane emissions. Photo courtesy of the Environmental Defense Fund.